J. Alberici & Sons Built Home. Featuring Three Above Grade Egress Windows In The Basement â¦ Perfect For Future expansion With Loads Of Natural Light. The Kitchen Has Shaker Birch Cabinets And Granite Countertops, Two Five Foot Wide Pantries, A Center Island With Overhang For Bar Stools, The Front Flex Room Can Be A Dining Rm Or Office Or Play Room, There Is A First Floor Laundry, The Breakfast Area IS Enormous And Would Fit A Huge Table, The Family Room Has Three Five Foot Windows & A Gas Fireplace, There Are 4 Spacious Bedrooms Upstairs With 2 Full Baths, The Master Suite Has An On Suite Bath And A Walk-in Closet, The Front Of The House Has A Deep Full Front Porch, And The Garage Is Oversized at 22' x 22'. 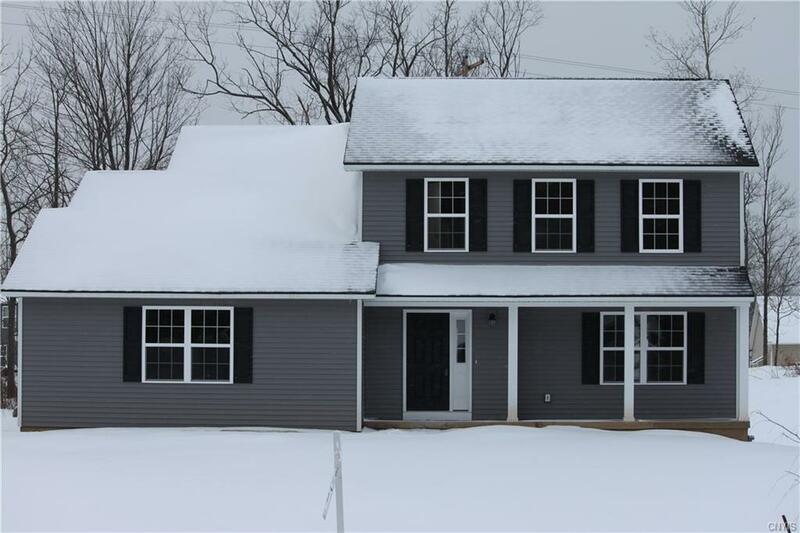 This Home Is Complete And Available For A Quick Closing. Directions To Property: Take Rt 31 To Aspen Springs Drive To White Chapel Road To # 19 On The Left.